This publication is the ninth edition of the full version of the OECD Model Tax Convention on Income and on Capital. 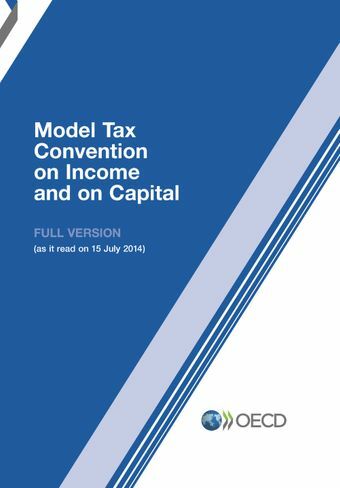 This full version contains the full text of the Model Tax Convention on Income and on Capital as it read on 15 July 2014, including the Articles, Commentaries, non-member economies positions, the Recommendation of the OECD Council, the historical notes (now expanded to go back to 1963), the detailed list of conventions between OECD member countries and the background reports. The OECD Model requires constant review to address the new tax issues that arise in connection with the evolution of the global economy. Working Party No. 1 of the OECD's Committee on Fiscal Affairs meets this need and its work results in regular changes to the Model. Updates were published in 1994, 1995, 1997, 2000, 2003, 2005, 2008, 2010, 2014 and 2017. The next update of the full version of the OECD Model Tax Convention is tentatively scheduled for mid-2019.